At Outskirts Press, Inc., we take great pride in celebrating the work of our successful self-publishing authors, and we do so each week through our Self-Publishing Author Spotlight. 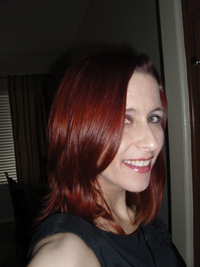 This week we highlight self-publishing author T. Johnson, who has published three successful titles with Outskirts Press. 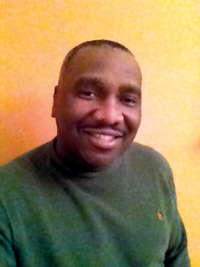 Learn more about T. Johnson, his interests and published works through this week’s Self-Publishing Author Spotlight. Hampton University graduate, T. Johnson currently resides in New Jersey. He has been writing for several years and enjoys writing books for juvenile and middle grade readers. Aside from writing, he also enjoys sports, designing homes, and spending time with his family. His book Seasons of the Year has received tremendous praise from preschool, kindergarten and elementary school teachers. Magic Beach is the first of three volumes T. Johnson plans to release in his “Beach Club” series for middle grade readers. “Seasons of the Year” is the perfect book for toddlers, beginning readers and parents who love reading to their children. It is a fun and educational trip through the four seasons, highlighting the clothes we wear and the activities children enjoy during each season. The colorful illustrations and rhyming text make “Seasons of the Year” a visibly and audibly stimulating book. Children and parents will love spending quality time reading “Seasons of the Year” time and time again. The Beach Club introduces readers to Mikey Sanche, who is an 11-year-old 5th grader from the inner city. Like most kids his age, Mikey looks forward to summer vacation. However, he had no idea this summer would be one he would never forget. While spending time at his Aunt and Uncle’s beach home, Mikey makes two new friends, Danni and Skip. Together the trio would form “The Beach Club.” During the summer, they would spend time riding their body boards, camping out on the beach, going to the local water park and solving a magical mystery that would shake the entire town. Follow the adventures of Mikey and his friends as they solve the mystery of “Magic Beach”. In The Beach Club Volume II, Mikey Sanchez is headed back to the Outer Banks of North Carolina to spend another summer with his Aunt and Uncle in their beautiful beach-front home. He is also looking forward to another year of summertime fun with his good friends Skip and Danni. The trio, who call themselves the Beach Club, will spend their days hanging out on the beach, learning to surf, and helping authorities nab a band of fiendish pirates. Mikey will even come face to face with a terrifying ghost in a creepy, haunted lighthouse. Follow the Beach Club through their second summer adventure as they solve the mystery of The Haunted Lighthouse of Ocracoke Island.